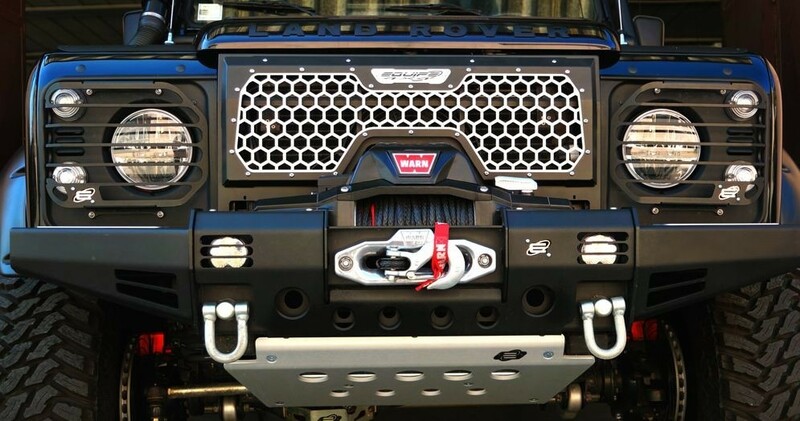 The High Frame Defender mask has been designed to give the Defender a more aggressive off-road design front. 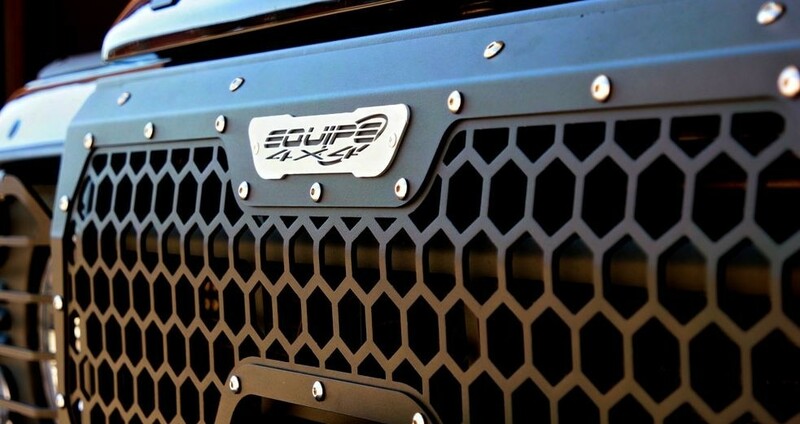 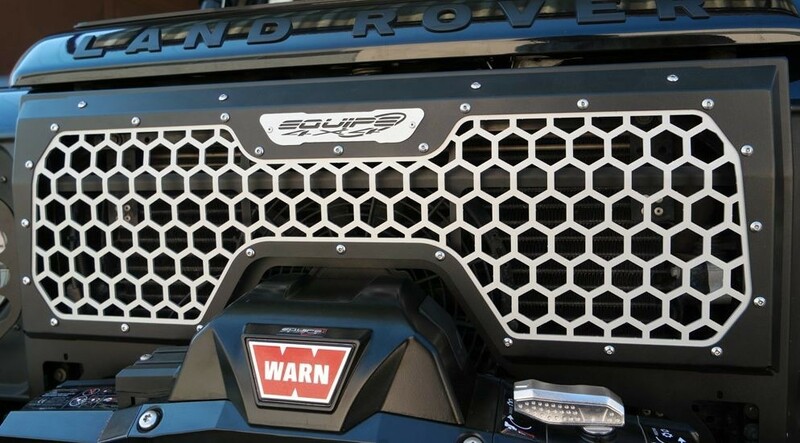 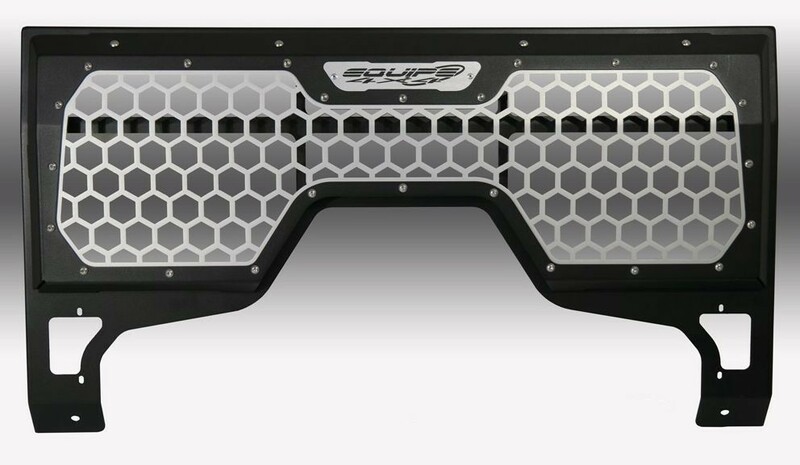 The High Frame front grill in the typical Equipe 4x4 style is a direct replacement but with a less protruding profile. 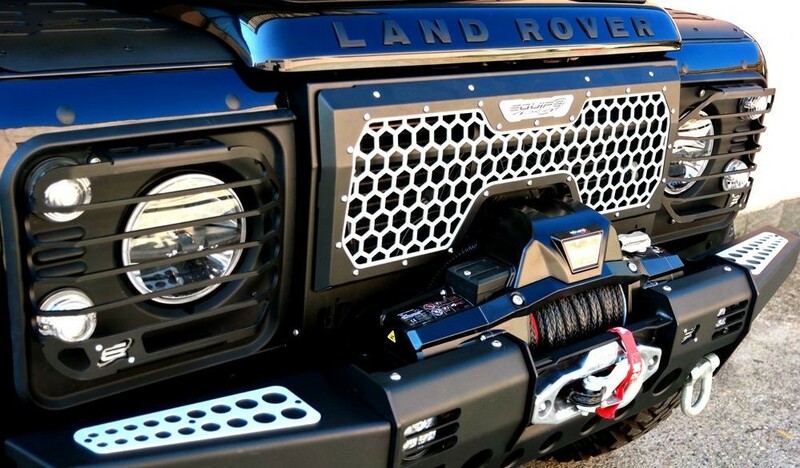 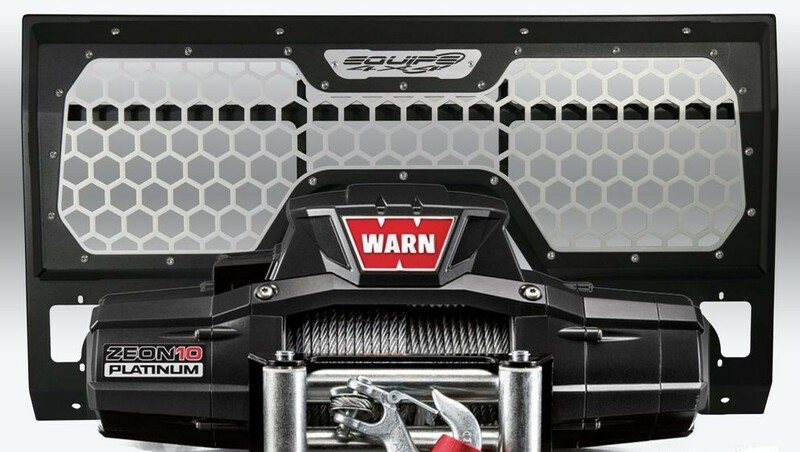 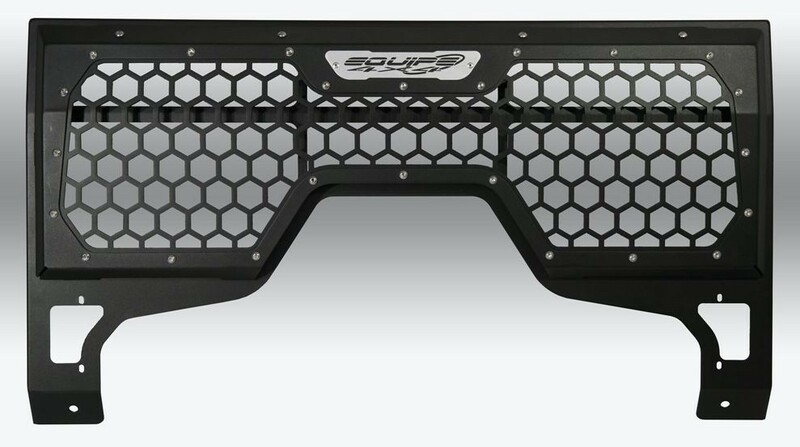 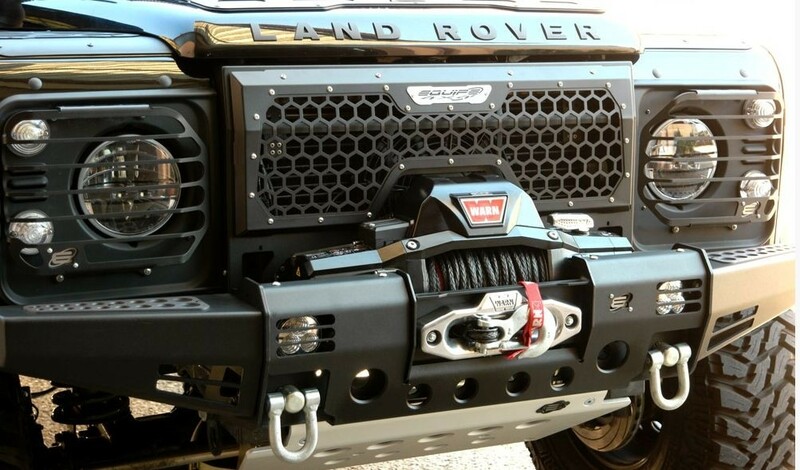 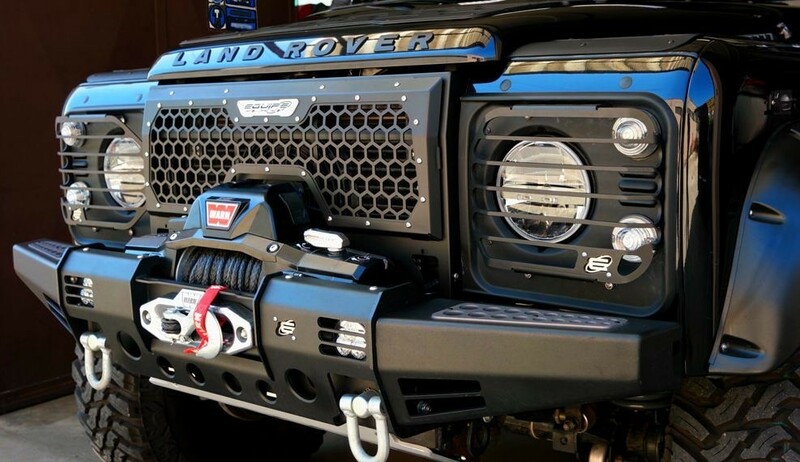 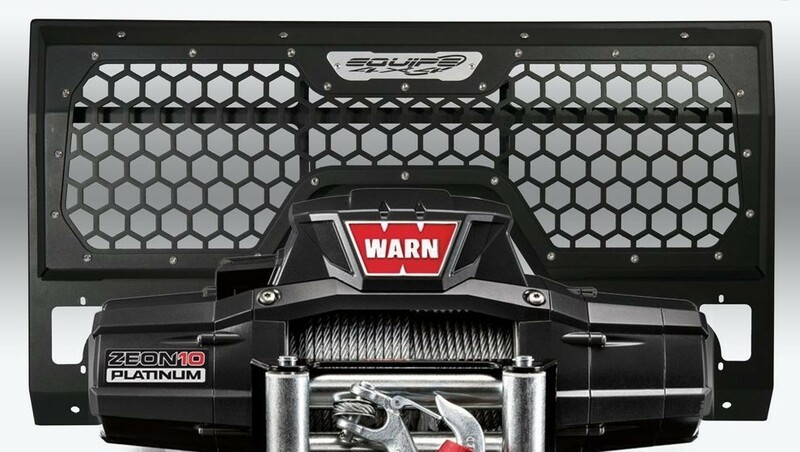 The High Frame front grill is the version with a specially shaped top grill to accomodate winches with a bar over the cable drum. 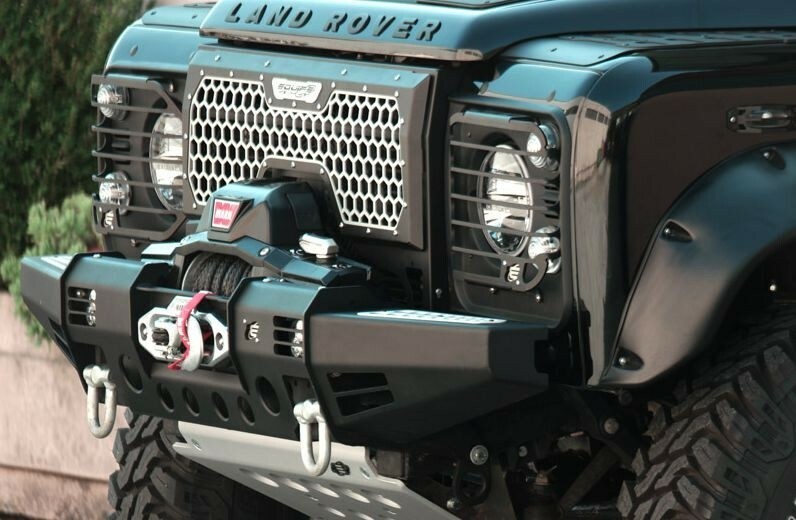 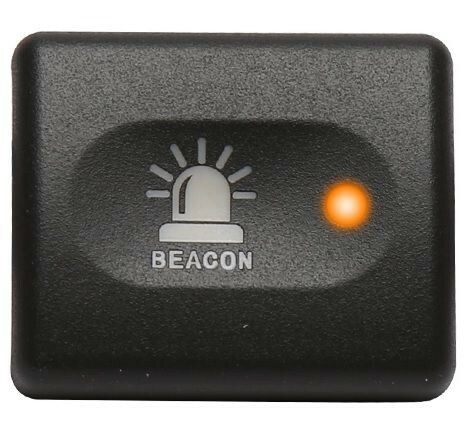 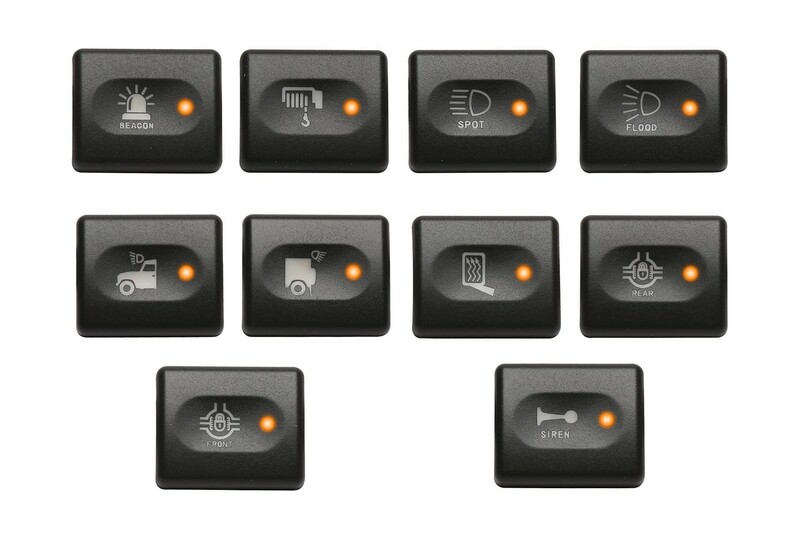 This grill comes without the lower aluminium grille and end profile at the bottom.